Robert is an Associate for Woodmont in the Fort Worth office, specializing in Landlord and Tenant Representation for retail transactions. 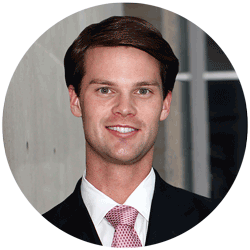 Robert works with a variety of clients that range from local startups to international equity funds. He is skilled in site selection and analysis, and contract negotiations. In Robert’s 7 years of real estate experience, he has successfully completed transactions with Bath & Body Works, Brooklyn Pizzeria, Check Into Cash, and Victoria’s Secret, and he has successfully represented clients that include Lone Star Footwear Co., Move Athleisure, North Texas Tollway Authority, Wood & Grain Bistro, and Moritz Investments. Prior to joining The Woodmont Company, Robert managed RW Snider Investments, LLC, a brokerage firm that exceeded $4 million in transactions during its first year and a half. Prior to that, he served as an Advisor at Sperry Van Ness Real Estate. Robert graduated from Texas Christian University with a Bachelor of Business Administration degree in Finance with an emphasis in Real Estate. Robert is active with the Real Estate Council of Greater Fort Worth and International Council of Shopping Centers (ICSC). He previously served on the Arlington Commercial Real Estate Advisory Council and the Steer Fort Worth Urban Development Task Force.